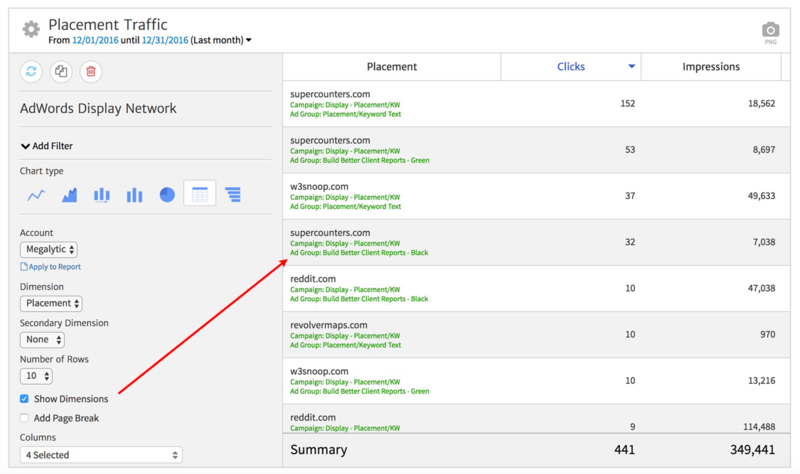 The AdWords Display Network Widget enables you to report on the performance of your advertising on the Google Display Network. 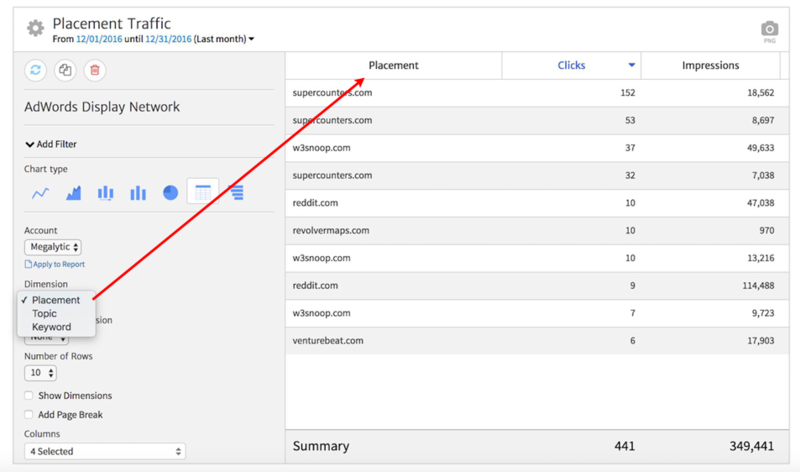 You can segment data by Placement, Topic, or Keyword. In addition, you can select “Show Dimensions” to add the Campaign and Ad Group to the report. 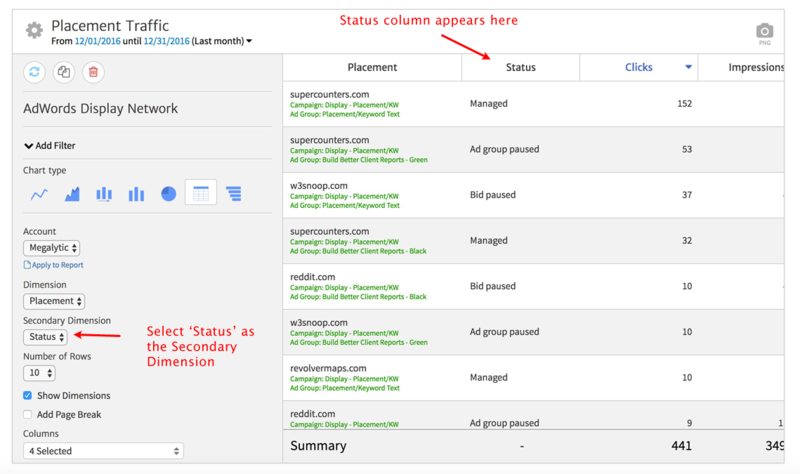 As with other AdWords widgets, you can select Status as a Secondary Dimension to display the status of Placements of Keywords.